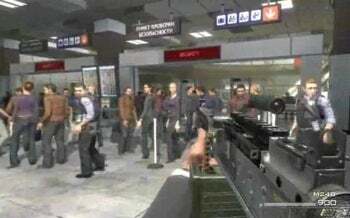 What Happens if We Boycott the PC Version of Modern Warfare 2? The PC version of Activision's ballyhooed first-person military shooter, Modern Warfare 2--officially available in less than 24 hours--may go down as one of the most contentious launches in games history. The game's been mired in controversy of late, a muddle of pros and cons batted around by hundreds of thousands of advocates as well as detractors on message boards and social network sites and pithy missive multiplication mediums like Twitter. 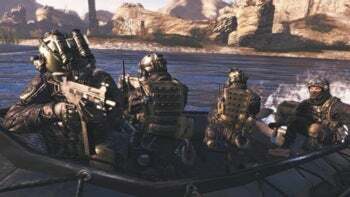 It's got just about everyone roiled for one reason or another, whether we're talking about the terrorist gameplay, the move to dedicated multiplayer servers, the inclusion of Valve's Steamworks technology, or the footage of Washington D.C. going up in smoke. Its Wikipedia page is in fetters, the debate shuffled offstage to the discussion section, where it includes concerns about 'tactical nukes', 'angry PC users', 'dedicated servers', whether the game's actually sixth or second in the series, its actual Wikipedia name and location (should it include the 'Call of Duty' tag? ), whether the acronym 'MW2' conflicts with Activision's old robot-brawler MechWarrior 2, whether the main page's tone is too 'positive', and whether there should, in fact, be a 'controversy' section at all. Contrast with the comparably laconic discussion pages for other controversy-laden games, like Left 4 Dead 2, Six Days in Fallujah, Resident Evil 5, or Muslim Massacre: The Game of Modern Religious Genocide. That's almost certainly, in part, because of the unprecedented anticipation level for Modern Warfare 2. According to Barbara Ortutay writing for the San Jose Mercury News, the game could surpass The Dark Knight's record $155 million opening weekend take last year. Ortutay writes that gamers are expected to drop half a billion and change on the game in the first week alone. 10,000 midnight launches, $50 million in estimated marketing spend, TV spots, billboards and ads...it's like the launch of a new Grand Theft Auto or Halo, except bigger. As of today, the petition to "get Infinity Ward to review their decision not to allow fully dedicated servers" in the PC version of Modern Warfare 2 stands at nearly 200,000 signatures. It's not a petition to boycott the game, per se, though another one criticizing the game's unusually high price--$60, or ten dollars higher than norm--has just over 15,000 signatures and encourages gamers to "not purchase MW2," "purchase only in used form," or "import from a cheaper country." What it is, is an indicator that PC gaming enthusiasts are incensed over some of the choices Activision's made regarding the Windows version. What if, consequently, gamers who'd been planning to buy the Windows version train their sights instead on the Xbox 360 or PlayStation versions? What happens if, instead of a general boycott, there's a platform-specific one?